Mrs. White holds a Bachelor of Science degree in Early Elementary Education from the University of Akron earned in 1980. After she and her husband had raised their three sons to adulthood, she returned to school attending Baldwin-Wallace College in 2007-2008 to earn her Master's degree in Education with the focus on literacy and reading. She currently holds the Reading Endorsement for the State of Ohio. Mrs. White has been married to her husband Craig for 30 years and has been blessed to raise three sons: Daniel, who is married to Miranda and their daughter Elianna (7 months), Kenny who is in the business field in Akron and who proudly serves in the Army National Guard,and Andy who works as a mechanical engineer in Cleveland. Mrs. White enjoys many hobbies such as decorating, shopping, family time and events, serving at her church, and playing with two, small, lively white dogs, Rookie and Brady. 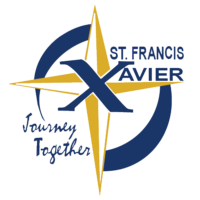 This is Mrs.White's fourteenth year at St. Francis Xavier School. She feels very blessed to watch and to help the children to become successful and independent readers. One of her main goals is to help the children to learn to enjoy reading and to become lifelong readers. She reports that each day here "is a blessing".